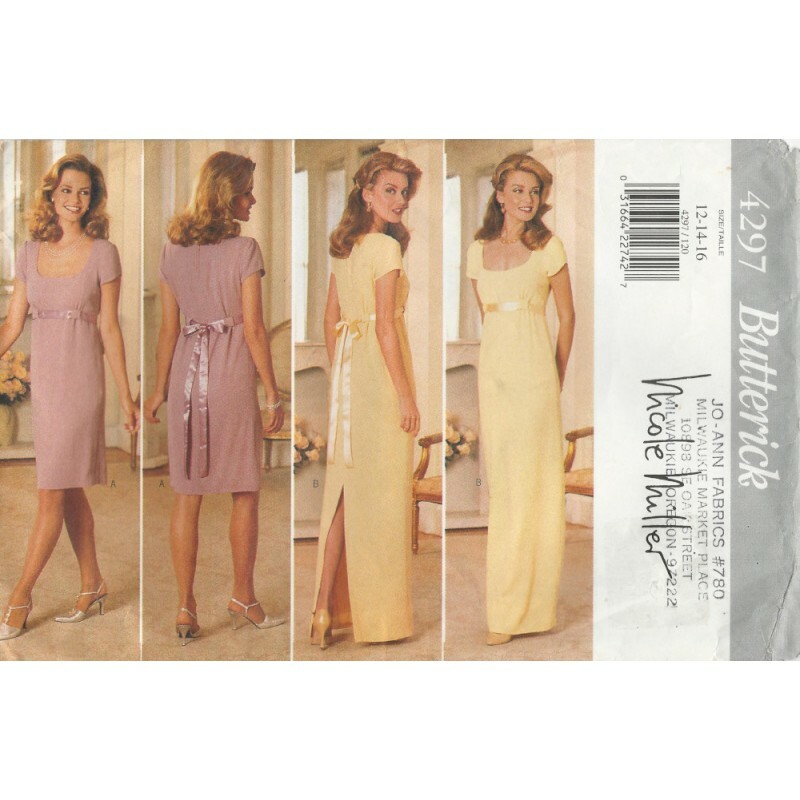 Butterick evening dress sewing pattern No. 4297. Vintage, 1990's style. Simple and elegant! Short sleeved, square neckline, raised waist and straight skirt. Lined skirt and partially lined, fitted bodice. The floor length version has a slit in the back for easier walking. Pretty as is, but perfect for various embellishment techniques. 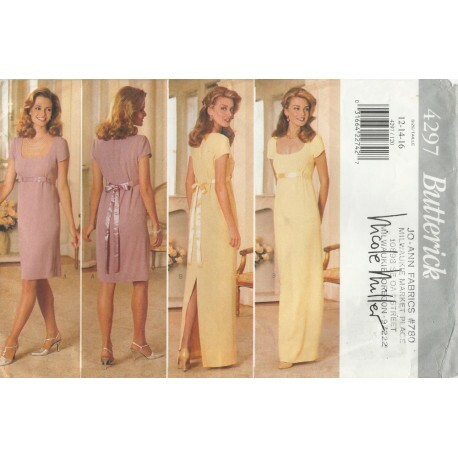 This is a nice, vintage sewing pattern from Butterick! Size: 12, 14, 16. Please see the photo for measurements. Condition: Checked and counted with all of the pieces and instructions here. Cut to size 12, but length pieces are here for larger sizes. Envelope has store stamp, sticker residue and some wear.